SKU: 46006V. Categories: Sleeping & Bedding, Bedding Sets. Tags: Amani, Amani Bedding sets. 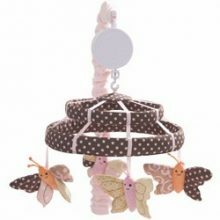 Beautiful butterflies in high fashion colours will welcome home your new baby girl in style. The mix and match of contemporary prints and patterns features a “lettuce edge” floral detail making this collection truly special. 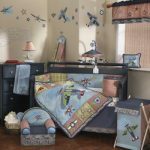 The 6 piece set includes the Quilt, 4 sided breathable panel bumper which can also be used as a wall decor, Fitted Sheet, Dust Ruffle, Window Valance and Nappy Stacker.